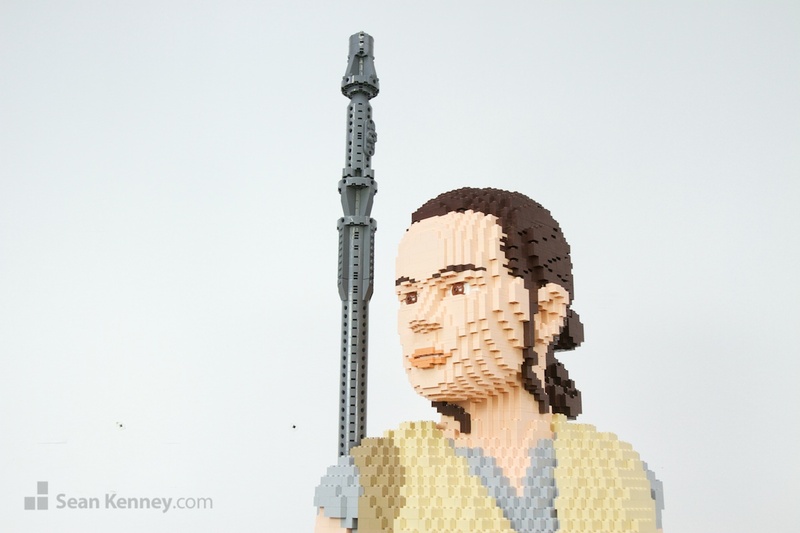 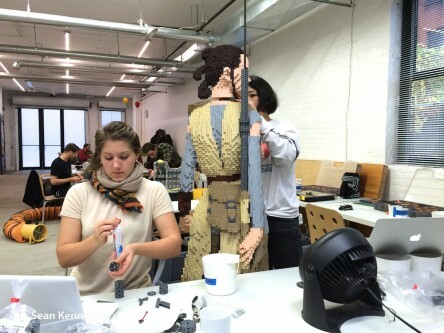 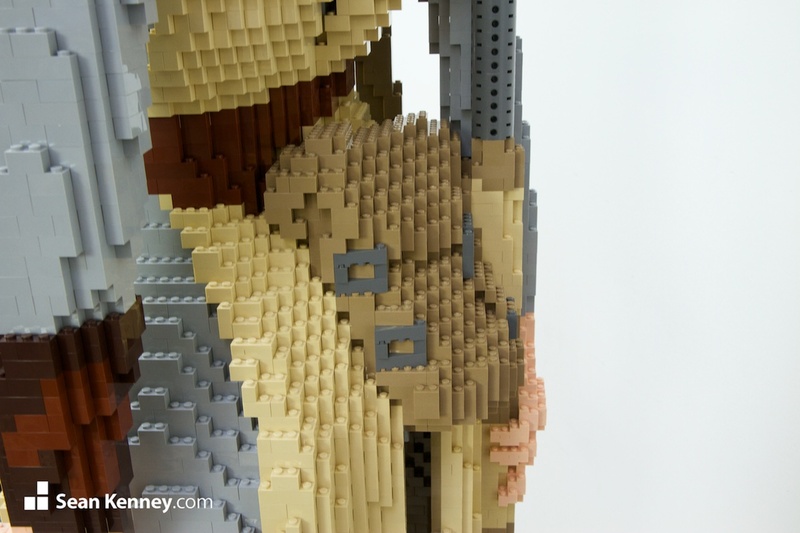 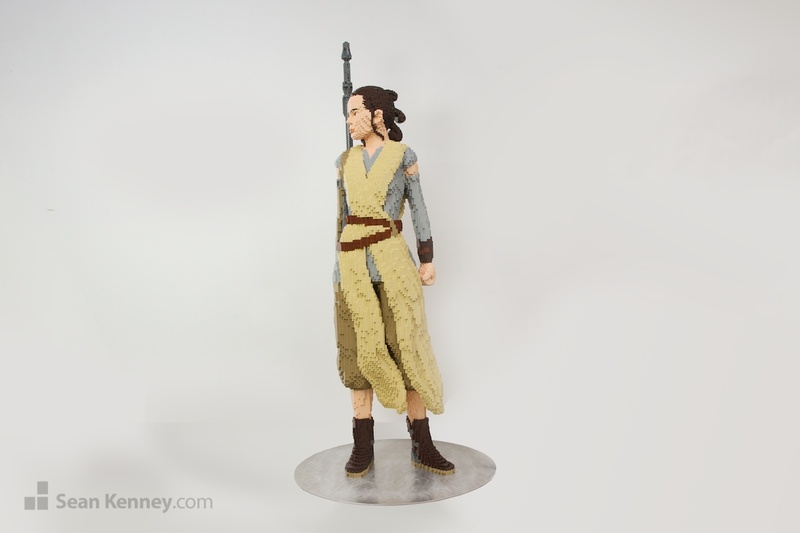 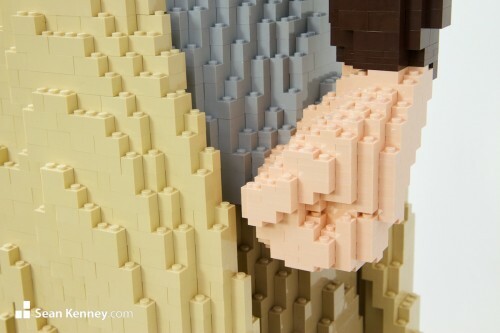 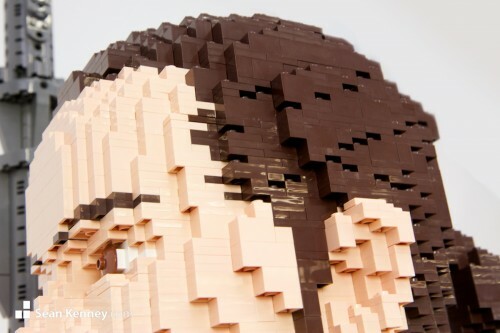 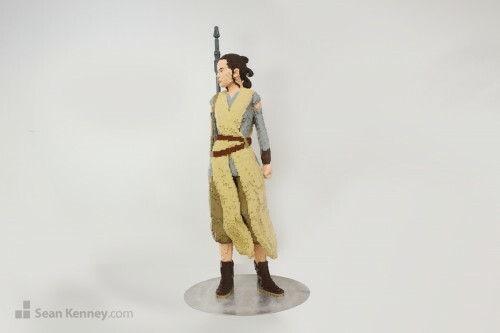 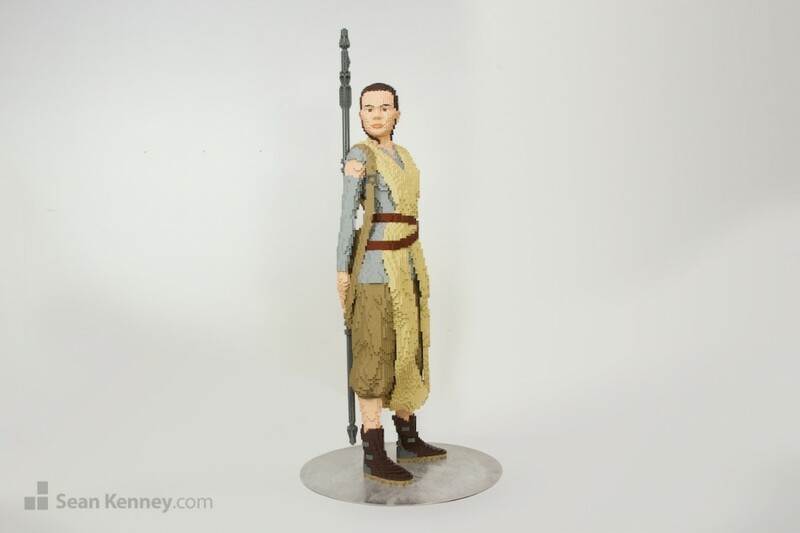 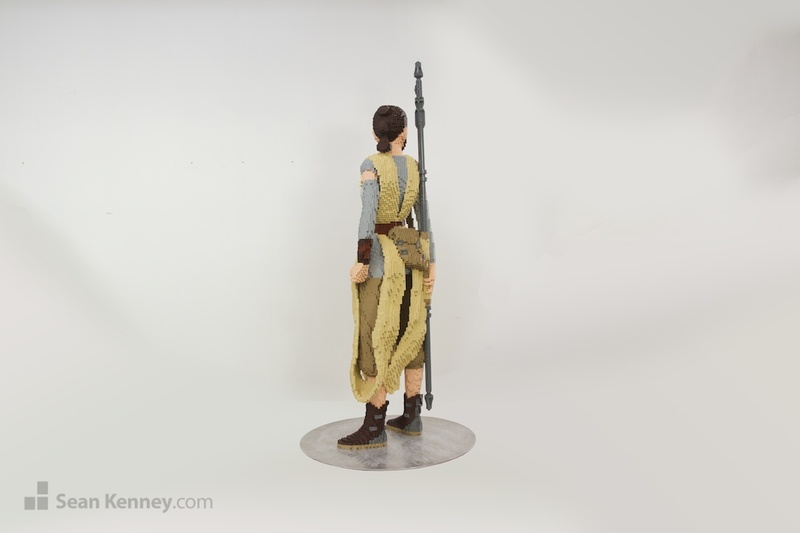 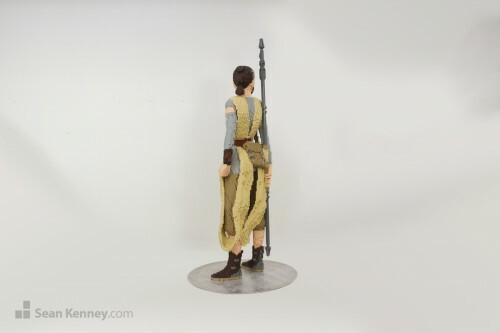 This life-size sculpture of Star Wars’ Rey was created on behalf of The LEGO Group for the for the global premier of the 2015 film “Star Wars: The Force Awakens”. 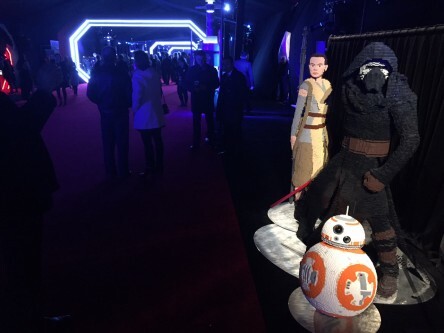 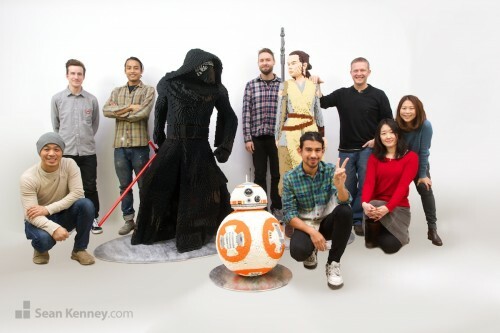 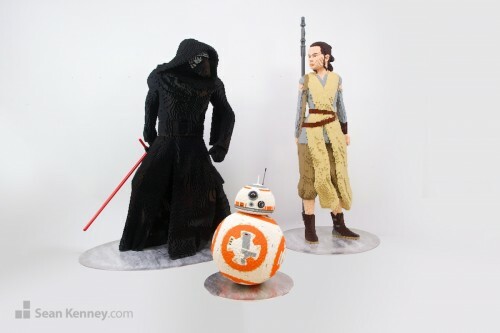 It was unveiled on the red carpet with celebrities and fanfare alongside sculptures of BB8 and Kylo Ren. 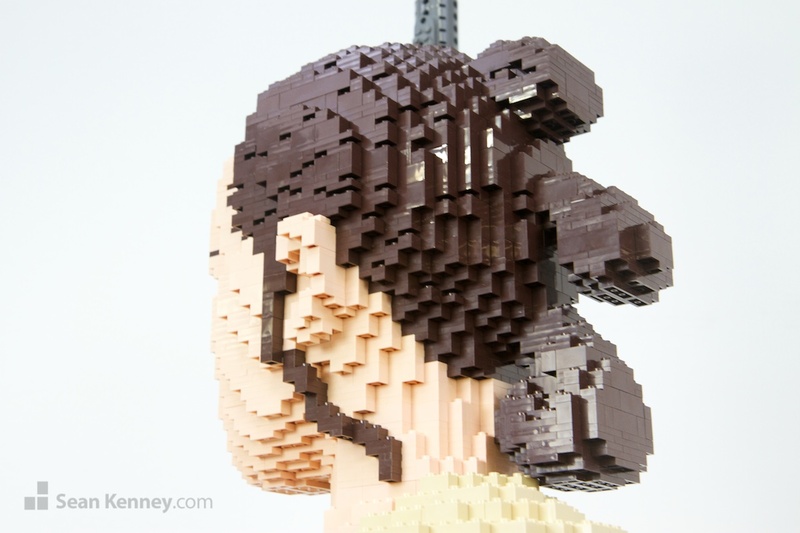 This sculpture was designed by The LEGO Group and then constructed by my team and I in New York City over the course of about 200 hours. 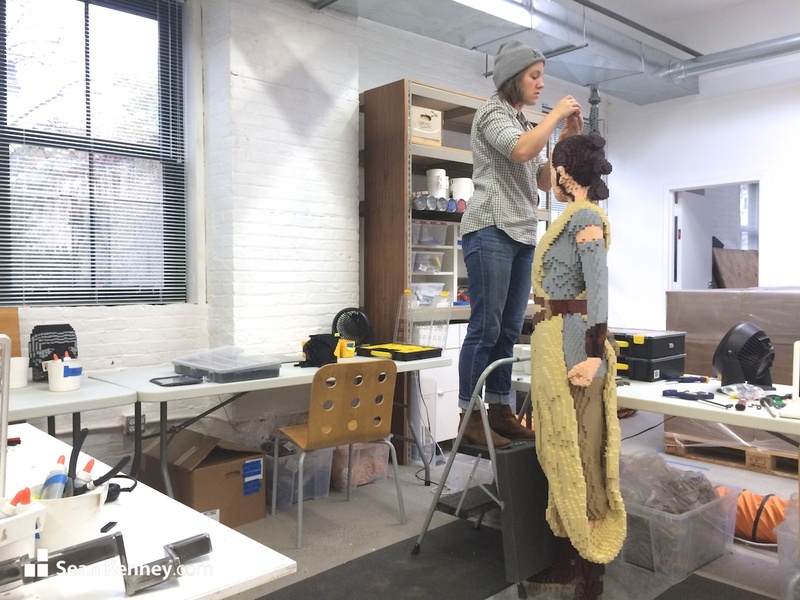 The sculpture took about 200 hours to build, and was created in a mad rush entirely in the weeks leading up to the films release! See the other Star Wars: TFA LEGO sculptures we built for the red carpet premiere.